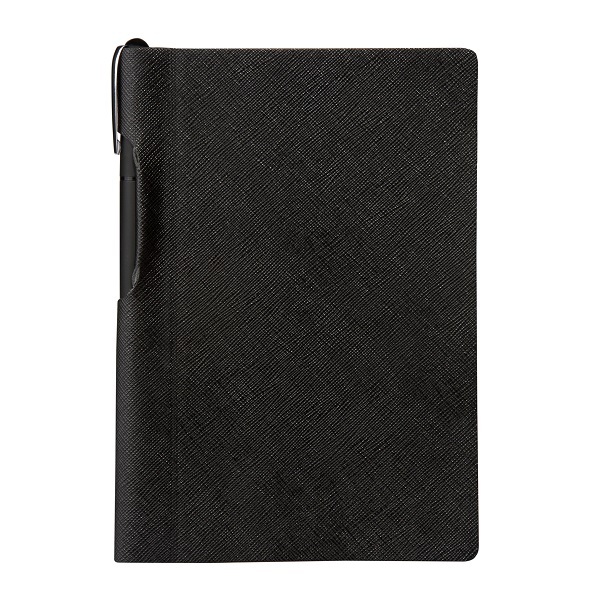 Fabio Ricci Ginerva journals offer innovative European design and unique craftsmanship. 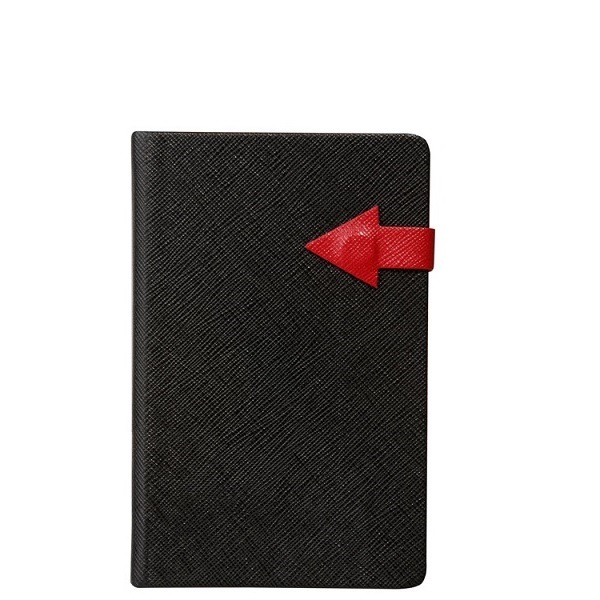 Black faux leather hard cover with red arrow shaped magnet closure and matching ribbon. Complete with information pages at the end and storage pocket inside back cover. 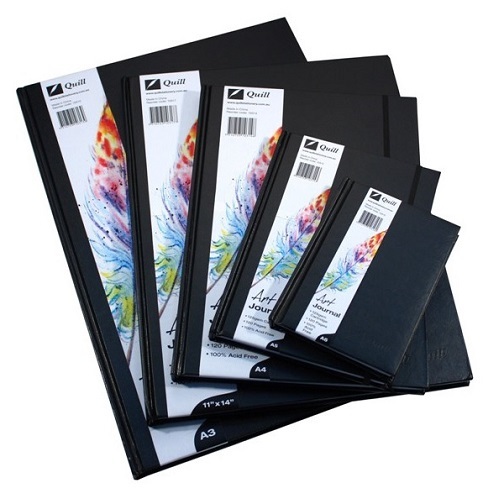 Features 160 pages of premium 80 gsm ivory paper with 8 mm ruling. Size - 90 x 140 mm premium quality journal. Size - 130 x 210 mm premium quality journal. Fabio Ricci Vlore journals offer innovative Eurpoean design and unique craftsmanship. 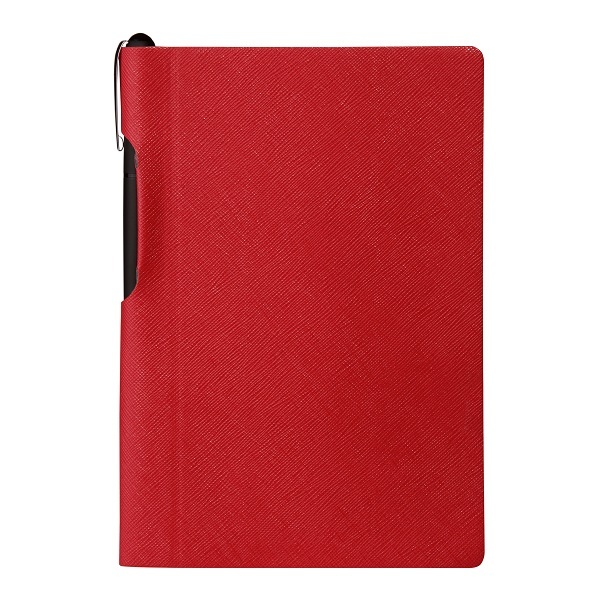 Red faux leather cover with pen holder in spine and matching ribbon. Complete with information pages at the end and bonus pen in spine. 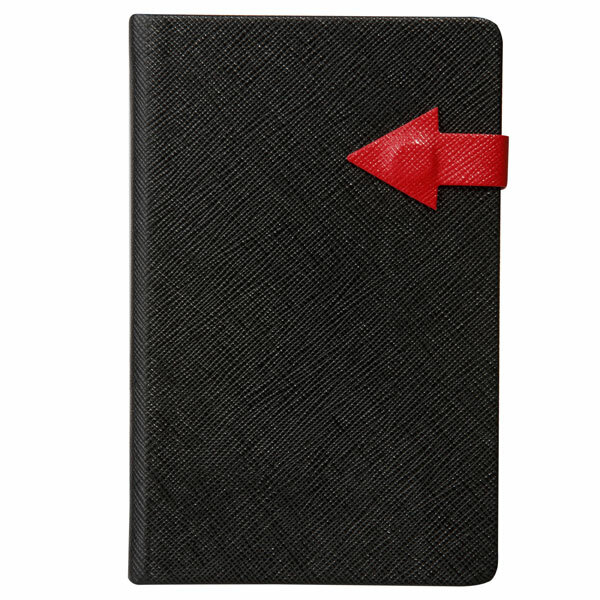 Black faux leather cover with pen holder in spine and matching ribbon.